Edrington Global Travel Retail (GTR) is putting stronger emphasis on its travel retail business in the Americas and has named Juan Gentile, formerly Senior Vice President for Latin America and Travel Retail, to the new role of Managing Director, Americas Travel Retail. The new organization is designed to provide greater support to retail partners and drive continued growth in the region for its Americas Travel Retail (AmTR) business. Juan Gentile assumes the new role of Managing Director, Americas Travel Retail for Edrington. In this role, Gentile will be 100% focused on the travel retail channel, while also leading and supporting a new Global Cruise Development initiative. Under the reorganization, Jada Portela has been promoted to Regional Director – Latin America & Caribbean, excluding Mexico. Juan Campos, formerly Regional Director – Latin America & Caribbean, has taken over as Managing Director for newly created Edrington Mexico. In related news, Edrington Travel Retail Americas moved into a new office in the heart of Miami’s business district on Brickell Avenue last month. The new site also houses Edrington’s LATAM team and the South Division domestic team, which covers ten states from Texas to North Carolina. The Miami office will act as an important hub for the Americas, Gentile told TMI. Anette Mourier will assume the role of Global Cruise Manager, responsible for both the on- and off-premise cruise business. 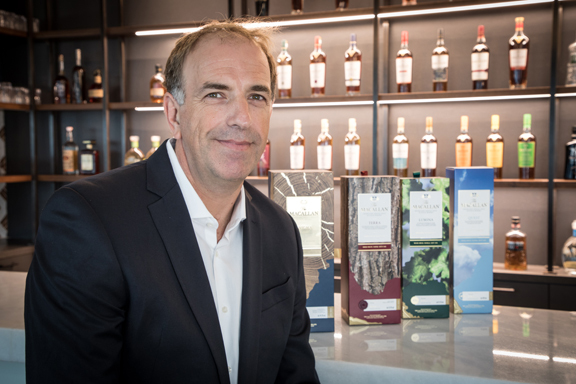 In 14 years at Edrington, Juan Gentile has been instrumental in the growth of Edrington’s business, developing The Macallan to become the leading Single Malt in Latin America domestic markets. In 2012 he assumed responsibility for travel retail and was a board member of Edrington WEBB Travel Retail Americas. Gentile played a central role in the 2017 integration of this business within Edrington’s global structure, establishing a fully owned and integrated Global Travel Retail business unit. According to figures from Cruise Lines International Association, global cruise passengers grew by 20.5% in 2017, with North America (including Mexico) representing almost half (49%) of global ocean passengers. Lilian Sanchez takes full responsibility for the Edrington portfolio as Head of Marketing for Edrington Americas Travel Retail. Anette Mourier will assume the role of Global Cruise Manager, responsible for both the on- and off-premise cruise business. Formerly Marketing Director with WEBB, Anette combines significant experience of on-premise brand building with strong relationships in the cruise line industry. As part of the reorganization, Lilian Sanchez takes full responsibility for the Edrington portfolio as Head of Marketing for Edrington Americas Travel Retail.